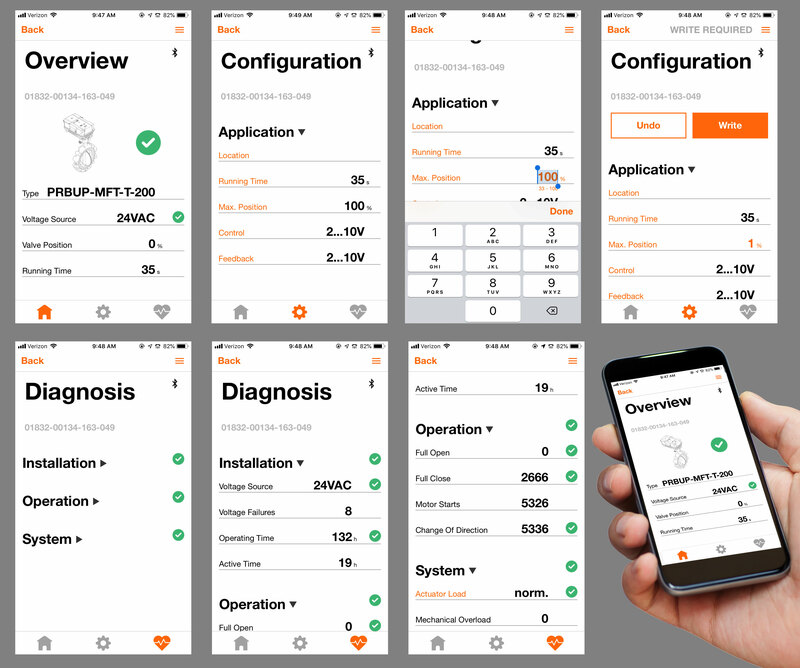 The Belimo Assistant App offers operation transparency when used in connection with Belimo VAV, damper and valve actuators that have integrated Near Field Communication. With a smartphone, the Belimo Assistant App provides fast and easy programming, commissioning and troubleshooting even without power. The App also allows you to document and send your settings and operating data via email. To use the Belimo Assistant App, hold the smartphone right over the NFC logo located on the Belimo device. If using an iPhone you will need to use the Belimo ZIP-BT-NFC converter. Place the converter directly on the Belimo device over the NFC logo. Hold the smartphone right over the Belimo ZIP-BT-NFC converter. Belimo devices with NFC provide transparency to ensure system efficiency and eases installation. Additional information can be found online at www.belimo.us or contact a Belimo representative.